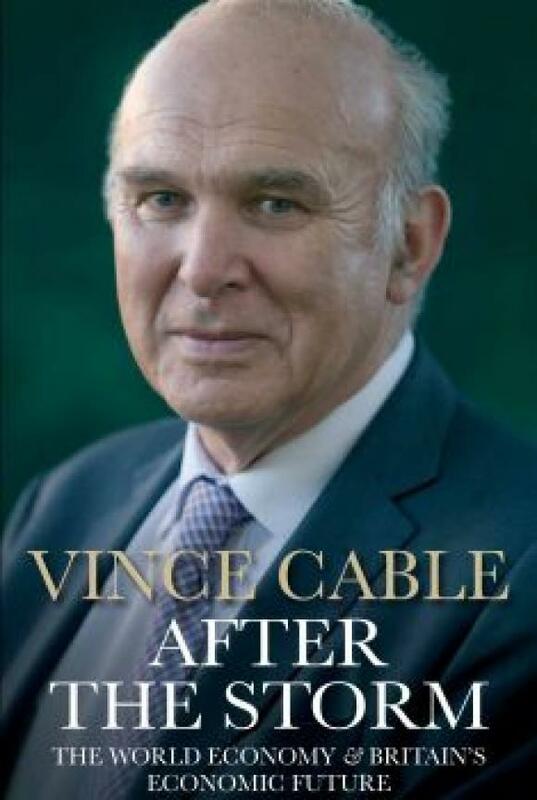 A very special opportunity to meet Sir Vince Cable who joins Guardian columnist and economist David Boyle to discuss a new revised and updated paperback edition of After the Storm. This provides fascinating insights into the global economy – and Britain’s place in it – from his unique vantage point as a former senior member of the coalition and offers a carefully considered perspective on how the British economy should be managed in the future. “Lucid, intelligent – and damning” — The Guardian. “Vince Cable is the parliamentarian who has been consistently the most prescient and thoughtful in his analysis of the credit crunch.” John Kay, Financial Times. 7.30 – 10 pm Tuesday 24th May, Festival Big Top. Copies of ‘After the Storm’ will be on sale for Vince to sign after his talk. or direct from The Steyning Bookshop.